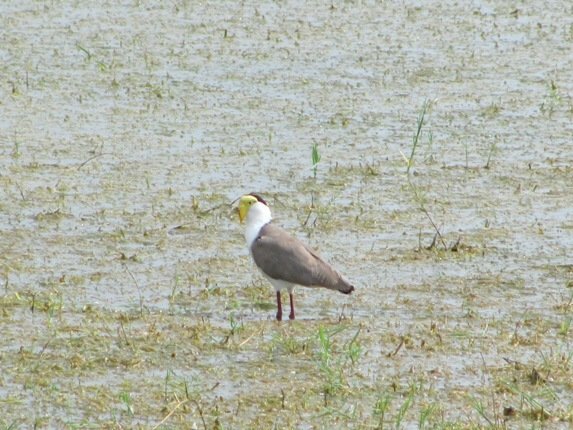 We have recently come across several Masked Lapwing Vanellus miles families around Broome. They generally lay four eggs, but we have only seen a maximum of three surviving chicks after a few days. A good indication that they have eggs or young is the extreme noise that they make. They will often fly at both people and other animals in defense of their eggs and young. 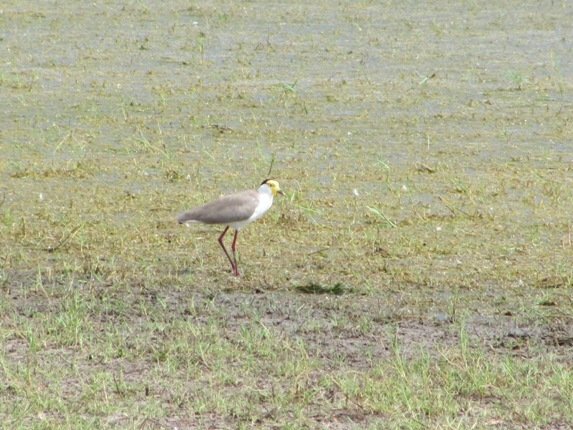 These birds are often present in Broome on the green areas, like the school sport’s fields, golf course and the local parks. They are often in large groups in these areas when they are not breeding. 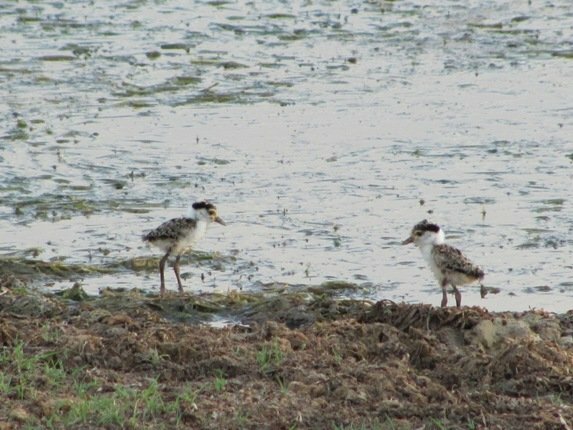 One family we came across recently had two chicks and one minute we had nice views from the vehicle…..
We then could not see it, but had not seen it run off…very odd….very clever…. 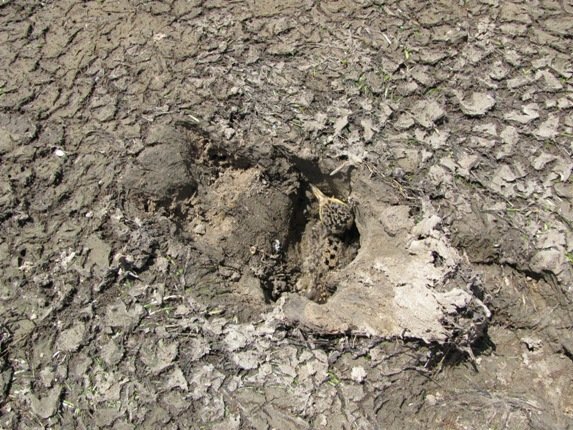 We discovered it had got into a cow footprint and was cleverly disguised! 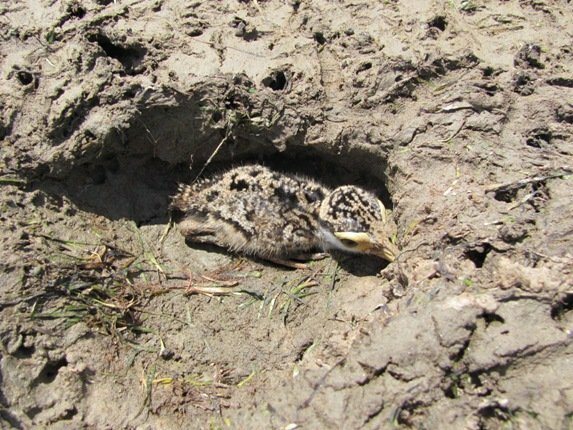 Masked Lapwing chick hiding in a cow footprint! 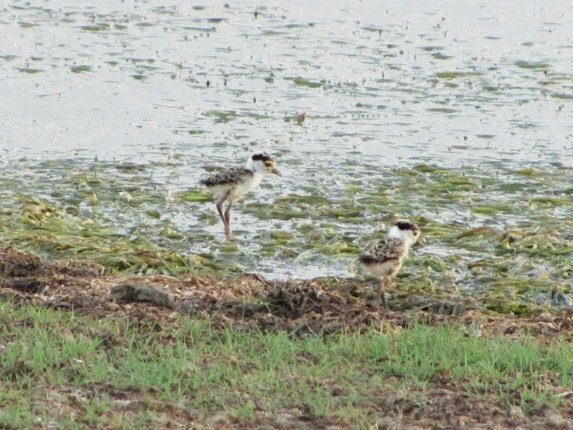 The next pair of Masked Lapwings we came across indicated that they had eggs or chicks from the amount of noise that they made! 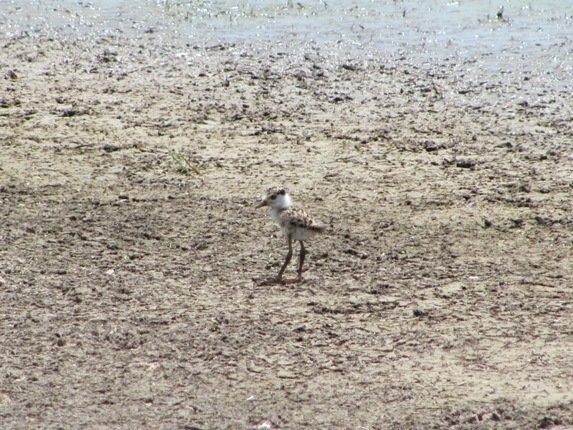 We soon discovered that they had two chicks that were happily feeding in the shallow water and really had no interest in us or any of the commotion that their parents were making! These little birds will soon grow up and discover they have a voice too! Don’t camp near these birds unless you want waking up early! For those of you wondering if we got our Wet Season rain yet….NO!! Looks like it’s coming to us in 2012 now!! 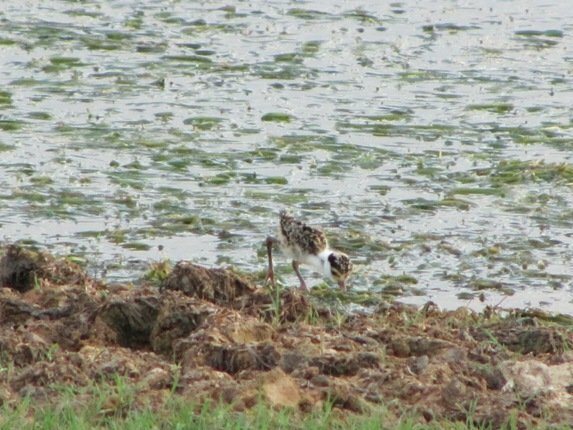 Love shorebird chicks. So precocial, er precocious. @ Clare-yes! 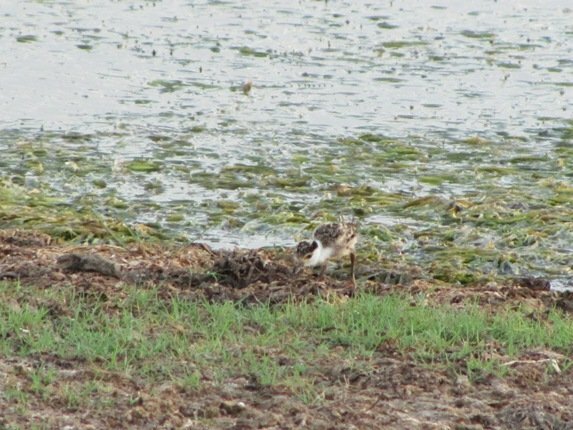 Thankfully not all shorebirds go north to breed! Happy New Year to you, and may a Red-backed Shrike be headed your way. Ship-assisted? Dang, you are right! I recalled the shrike and have sent a Northern Fulmar your way, should be there in a couple’ days.